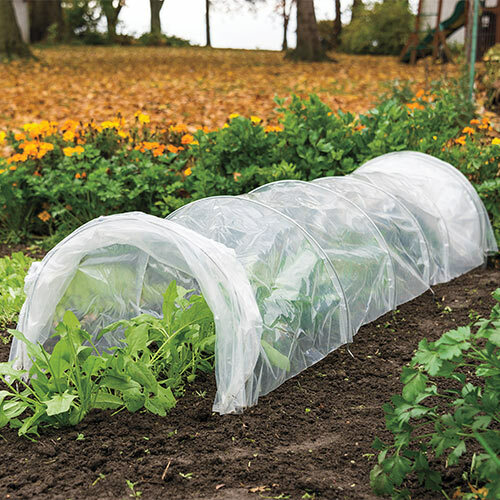 Polythene Grow Tunnel | Gurney's Seed & Nursery Co.
Polythene cover creates a warm, humid atmosphere for strong plant growth while providing protection. Easy ventilation and plant access through the elastic end closures. Fully assembled and easy to use; simply extend row cover out, place over plants and secure the galvanized steel wire hoops into the ground. Join together for longer plant rows. 16 ft. L x 18 in. W x 13 in. H.